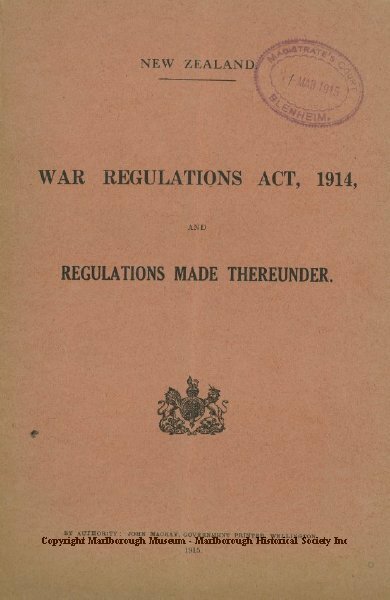 Pink covered booklet: New Zealand War Regulations Act, 1914. Regulations made thereunder. By authority : John Mackay, Government Printer, Wellington 1915.Stamped with Magistrate's Court, Blenheim 11 March 1915.